SEATTLE - If you look up the term "sport utility vehicle" in your handy World Book Encyclopedia, don’t be surprised to find a picture of a Word War II Jeep prominently displayed at the top of the page. Sure, the burbs are now crawling with sport-utes capable of satisfying the diverse needs of every sporting cult and off-road religion imaginable. We have everything from the mini-sport-utes such as the Chevy Tracker, Toyota RAV4 and Honda CR-V, to the big luxo-barges such as the Range Rover, Lincoln Navigator and GMC Denali. 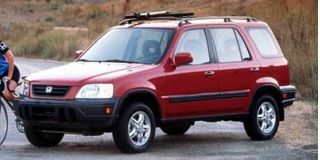 Surprisingly, what started out as a simple, yet durable conveyance that could take you beyond the end of the trail - a Jeep - wound up trailblazing a market segment that has been dividing and multiplying like an amoeba run amok. 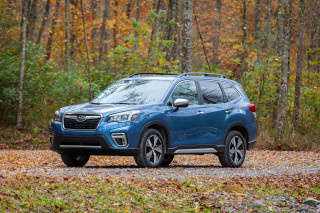 The number of sport-utility nameplates totals at least three dozen, with perhaps a dozen more on the way - including new models from Ford, Mazda, BMW, Cadillac, Volkswagen, Porsche and Nissan. While today’s teens probably think it was always like this, it wasn’t. 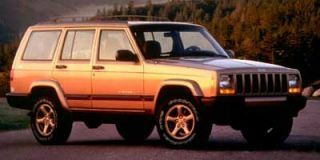 In fact, in 1984, just a scant 15 model-years ago, Jeep (then part of American Motors) introduced the very first compact four-door Cherokee. 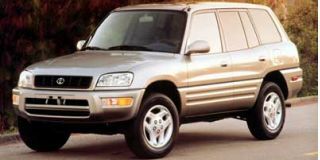 The only other four-door sport-utes available at the time were big brutes, such as the Jeep Grand Wagoneer, Chevy/GMC Suburban, Toyota Land Cruiser and International Travel-all (remember that one?). If you happened to come from a dyed-in-the-wool Jeep family, your dad may have driven a Grand Wagoneer or CJ5, while your granddad drove a Willys Jeep - in WWII. 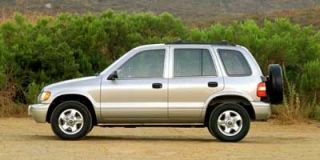 Frankly, it wasn’t until the arrival of the first Jeep Grand Cherokee in 1992 (a Chrysler brand by this time), that the carlike sport-utility market really started growing in earnest. So what’s a company such as Jeep going to do, with everybody and their brother-in-law trying to push you off the trail and take away your business? After a daylong trek along winding Washington backroads and over rutted logging trails, the answer is quite evident: leave them in your dust. 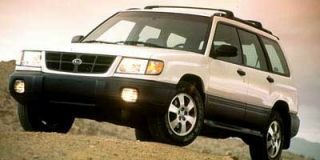 Without exaggeration, that seems to be precisely what Jeep has done with the introduction of its virtually all-new 1999 Grand Cherokee. While that may seem like a tall order, it’s something Chrysler has some experience doing. As most people will recall, Chrysler also invented the minivan market and has done a more than adequate job of protecting its "home turf" with each succeeding version of its popular minivan. So given the monumental assault on the Jeep brand, it’s not the least bit surprising to find Chrysler doing the same thing all over again. What that means, down here where the rubber meets the road, is not being content to rest on your laurels. And for the Grand Cherokee, that would have been an easy thing to do. With over a dozen awards under its beltline, the Grand Cherokee has impressed every off-road magazine and organization on the planet. But Chrysler realized that standing pat would be sure suicide. Just to prove that didn’t happen, communications guru Bud Liebler proudly displayed the little bag of 127 carry-over parts that are the only remnants of the previous Grand Cherokee still attached to the 1999 model. Other than the oil filter, key fob and rearview mirror, the remaining bits and pieces are mostly nuts, bolts and other fasteners. "We are well aware that in this extremely competitive segment, the battle for the best sport-utility vehicle is being fought on-road as well as off-road," said Tom Gale, executive vice president - Product Strategy, Design and general manager Jeep Operations. "We are not about to yield to anyone when it comes to delivering the best combination of capability and comfort. 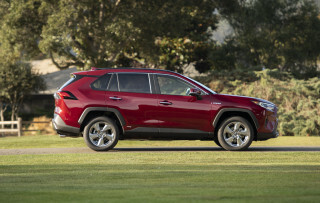 We plan to keep aggressively building on Grand Cherokee's strong sales record and award-winning history." As more and more automakers "top off" their product lines with sport-utility vehicles, the Jeep brand stands out as the only American brand dedicated solely to this market segment -- and one that has been continuously refined for more than five decades. 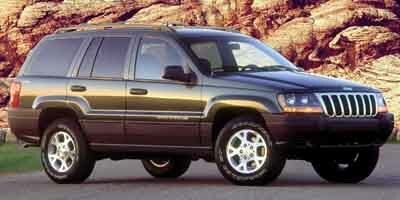 Major changes to the all-new 1999 Jeep Grand Cherokee include all-new exterior and interior design, two all-new engines, a new five-speed automatic transmission, a much-refined new Quadra-Drive™ 4WD system, new suspensions front and rear, new steering system, and an all-new braking system. It may seem like a lot of tinkering was done to an already outstanding product, but as a result of these changes, the 1999 Grand Cherokee now has new levels of luxury, refinement, performance, handling and innovation combined with robust, Rubicon-proven capability that put it in a class by itself. First we’ll start with the new design. The look of this new Grand Cherokee retains the character of the previous model, but is more fluid, refined and dynamic. Flanked by jewellike round quad-headlamps, the signature Jeep grille sits at a more rakish tilt and is less angular. 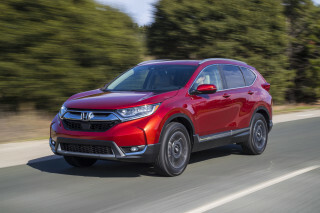 From the side, it’s characterized by a steeply raked windshield, arced roof and stretched trapezoidal wheel arches, which work together to give the vehicle a more athletic stance. 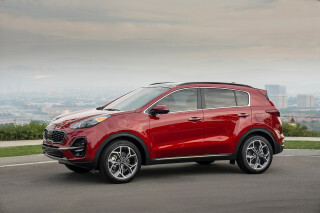 In the rear, the bold tri-color taillamps are larger, and more distinctive. 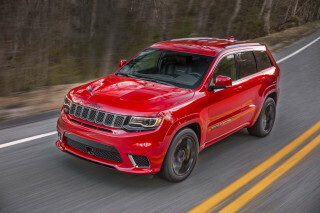 The new Grand Cherokee rides on the same wheelbase but has an inch wider track, is 4.4 inches longer, 2.2 inches higher and 1.6 inches wider than the previous-generation vehicle. Step-in height is reduced by 1.1 inches, for easier entry. However, the seating position is actually an inch higher for better "command-of-the-road" vision. If luxury is what you’re looking for, the Grand Cherokee certainly does not disappoint. The interior offers refined luxury, with excellent fit, finish and refinement throughout the cabin, as well as an ergonomic design. The driver now has all primary controls at fingertip distance, grouped on stalks around the steering wheel. Even most radio/cassette/compact disc controls are integrated on the back of the steering wheel. There’s also an excellent blend of materials and textures, plus an obvious attention to detail in the many soft-touch surfaces.